In the era of e-mail and internet less and less people use regular mail, but sometimes you need to send a letter to someone. Typing the address can be annoying and sometimes unclear so let’s put your computer to work. 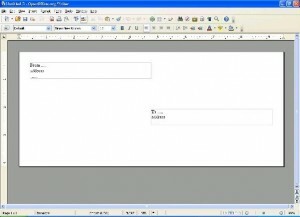 To print your and recipient address on an envelope you can use manual formatting on a page, but if you follow the instructions here the process will be more automated. Add your address (if it is not already filled in) and Recipient address. 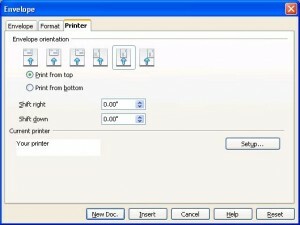 Select correct envelope orientation and setup your printer to use envelope as paper and correct paper source (usually manual feed). Here you can add your logo and preview how the envelope will look like. When you are sure it is OK just print it. 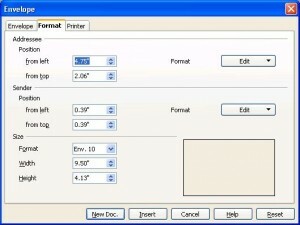 First few times you will be on trial and error, until you correctly print, but after will be straightforward. 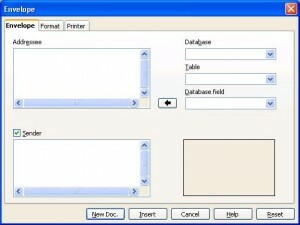 If you have Office it is not obligatory to download ind install OpenOffice.org. 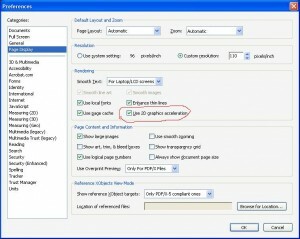 As already mentioned in my previous post Adobe added 2D acceleration in Acrobat reader in version 8. Unfortunately for me that feature was not available for the card in my laptop. Today I’ve decided to upgrade to v 9 and for my surprise 2d acceleration was available and turned on by default. I had this problem in FreeBSD 7.0 and this fixed it.